Import rescue animals into your state or save what’s local? What’s your take? 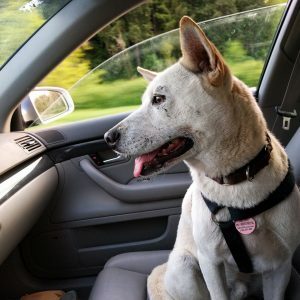 Home / Blog / Import rescue animals into your state or save what’s local? What’s your take? Importing animals versus saving what’s local. One of the more controversial topics in rescue, is where the focus should be. 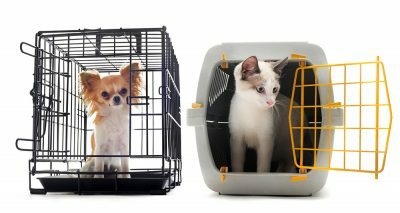 Many animal rescue organizations focus locally in their community, pull from local shelters, and adopt to local customers while other rescue organizations transport animals across state and sometimes country lines rather than pulling locally. Others have developed programs around importing animals to help other more overpopulated areas. We know this is a hot topic for many people and so we invite you to weigh in with your opinion and perspective to help us have a healthy discussion. First, the case for a local focus. It’s not hard to wrap your head around the concept that if every rescue focused on their municipality first, and then their state second, that likely they would have enough needy animals to keep them busy saving lives likely for as long as they remained in animal rescue. Focusing locally gets you more involved in your local community, establishes relationships with municipal and other animal shelters since you are focusing your attention on them which builds a pattern of trust and collaboration. It allows you to complete the supply chain from shelter to the forever home and focus on educating your local community regarding why you are doing animal rescue and how they can get involved to help. It requires less resources since you do not need to connect with other organizations on a national level but can focus on those common minded people in a closer proximity. I mean, why transport from other states until you have your own state’s problem under control right? Next, the case for importing. The distribution industry is one of the largest industries in the U.S. Products are made in specific locations, and then transported to where the demand is greatest. People are specific in their wants and needs and different brands thrive in different parts of the country necessitating a large distribution network to supply all of the various sources of demand. The same is true in animal rescue. For a moment, consider the animals as products with each breed being a different brand. It’s not a surprise that many people choose a familiar breed of animal when adopting a new animal. They are comfortable with the size and characteristics of the animal, and may have grown up with that particular breed and type of animal. But since the local animal shelter doesn’t always have that product in stock, they need to look elsewhere to find what they want. What if you preferred Coca-Cola over Pepsi but because of where you lived, you couldn’t get it? What happens if you goto your local shelter looking for a German Shepherd and all they have is chihuahuas? Importing animals across state lines helps to ensure the supply and demand gets equalized and normalized on a regular basis. As long as appropriate laws are followed and the animals are being cared for, what’s the problem? We’re still saving animals aren’t we? What’s your take? Is there a RIGHT way to do it?